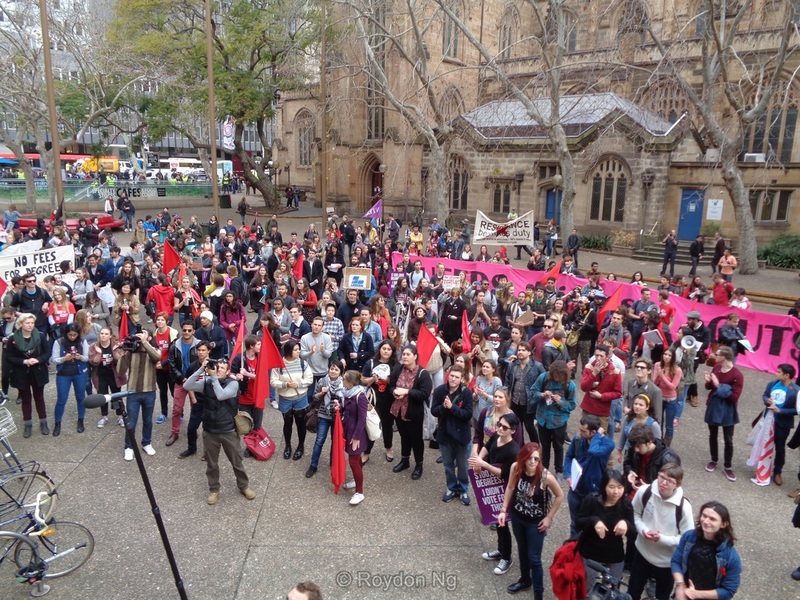 University students from across Sydney took to the city’s streets denouncing the Liberal government’s funding cuts and deregulation of the university system. Changes announced in the Australian budget would likely see an increase in university fees and interest rates disadvantaging students in particular those from lower socio-economic backgrounds. 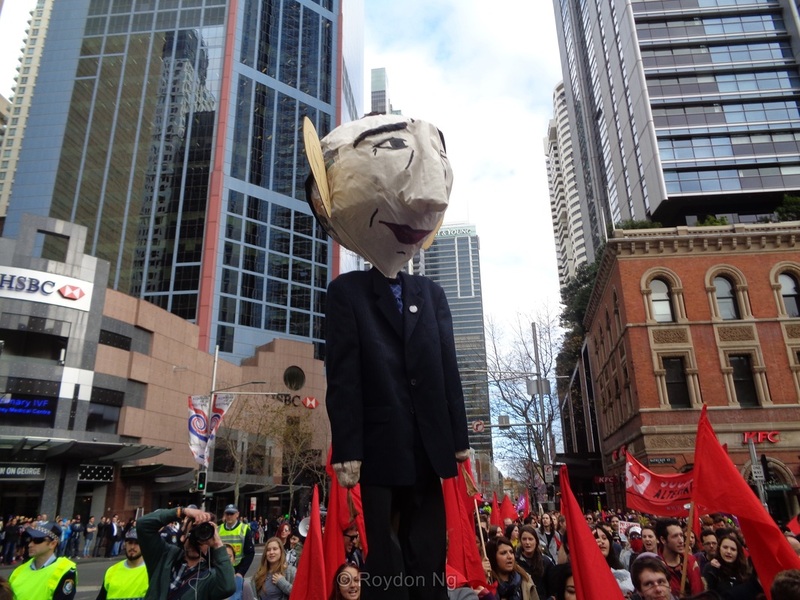 Despite hints from the education minister Christopher Pyne that possible negotiations would be considered, the National Union of Students organised a National Day of Action featuring #BustTheBudget protests in capital cities around Australia.